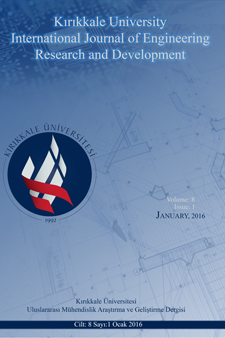 International Journal of Engineering Research and Development (IJERAD) was launched for publication in 2009 and is a peer-reviewed research journal that publishes and encourages the original and high-quality research results that have been studied in all disciplines of engineering. The IJERAD interests include, without limitation, Electrical and Electronics Engineering, Mechanical Engineering, Civil Engineering, Computer Engineering, Industrial Engineering, Materials and Metallurgy Engineering and Bioengineering. Our journal evaluates the articles by at least two referees according to the blinded arbitration system and accepts the publication. The language of the articles must be Turkish or English. All articles that are undertaken that are not published in any form in elsewhere by the author(s), in which the information presented is original and that do not have ethical concerns, are published online within the frame of the general codes of ethics. Our journal works with the open access system and the articles published in the journal issues are accessed freely. No fees are charged to our journal during article submission or printing. All Rights Reserved. Kırıkkale University, Faculty of Engineering.